First got the idea to buy a set of adhesive eyeliner patches from Dior, ´Velvet Eyes´. But after visiting a few local make up stores that didn't carry this product my impatience took over and grabbed a kohl pencil, liquid eyeliner and a q-tip. I started out with my regular makeup; a bit of mascara and a little line close to the lashes. Then I made two dots as references before applying eyeliner. One right above the point where the iris starts. The other in the middle of the imaginary line between the corner of the eye and the end of the eyebrow. After that it's just a matter of connecting the dots, making the corners sharper with liquid eyeliner and fixing small mistakes with a q-tip. love that eyeliner style on you! Love the first style! Wish I could do that! 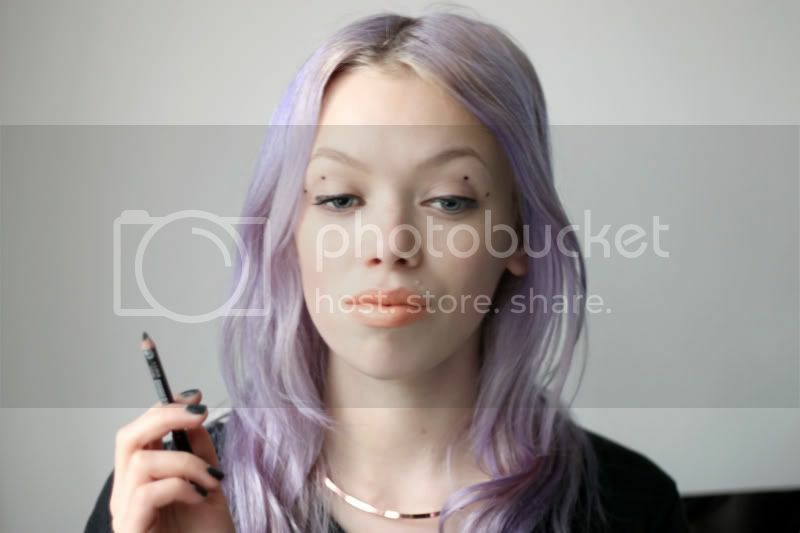 Such a great eye makeup look... 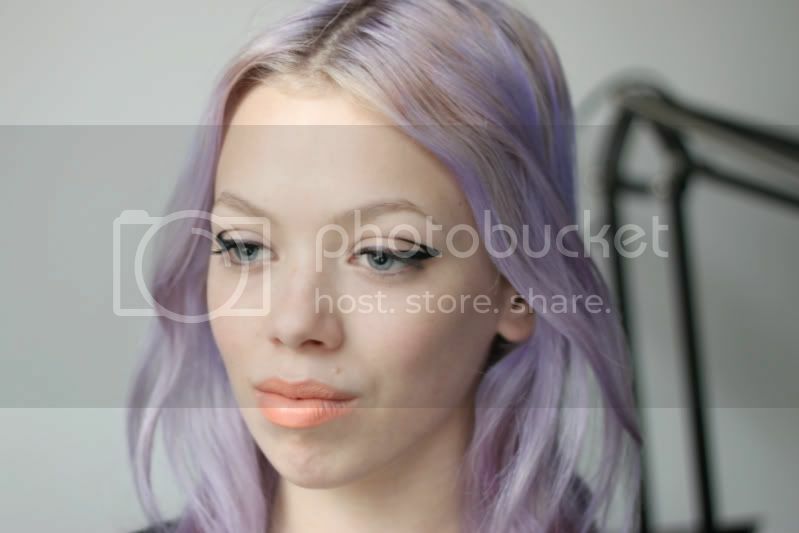 I'm really lusting over lilac in my hair right now! I was wondering where your lipstick is from ? I love the color !! Really nice and simple, I think I'll try it out! ahhhh this is amazing. definitely trying it out sometime soon! wonderful! did you use anything as base to prevent smudging? you are am-ahhhh-zing! i love your style and your blog...favourite! How will this look with asian eyes? Looks good on you I would probably smudge it a bit though. looks amazing! maybe I try it anytime.. So cute! you are so innovative...like your from the future or something :P I loovoe it!! That's so beautiful., you are so full of idea... damn. It looks great....but I'd never have the patience! this is amazing! Gonna try it! soo beautiful. the dotted one is very interesting! the first look is awesome. The first look is amazing. I love it! Awesome ! you look perfect! Stunning! I quite like this diy approach. I LOVE this, it looks so good!! aah I want to try it myself.. but I'd probably fail, I'm so hopeless with all things make up. absolutely epic! I've sighed over the dior way of doing eyeliner so many times, that this diy is just the nudge I needed to try it by myself. Love this look, I want to try this but I may end looking like a panda. Beautiful!! You have great idea! its so good on you! 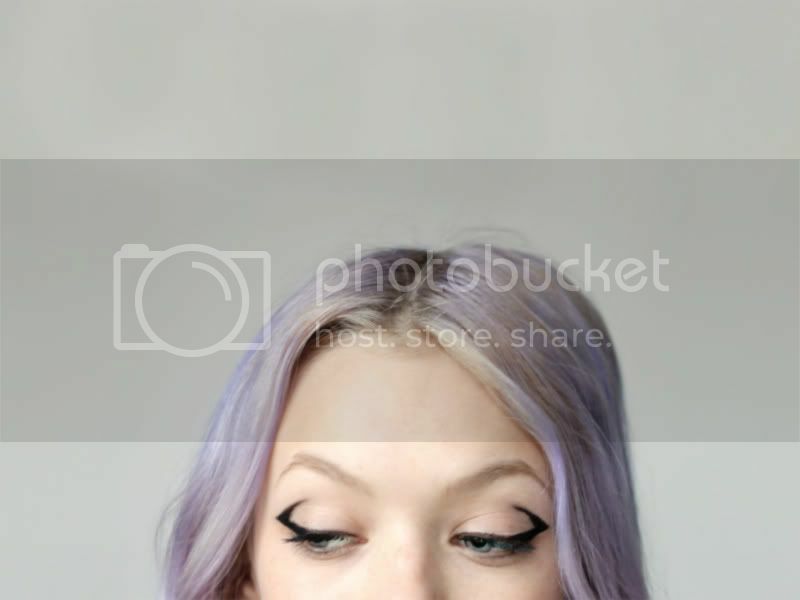 That eyeliner style looks amazing on you! Your hair is really beautiful! I am having a giveaway on my blog and wanted to give you a hint as you were one of the first to comment my blog almost five years ago. Thank you! Really good job! I will absolutely try it myself! you are soooo beautiful and your blog is STUNNING! wauw; echt heel erg mooi gedaan! definitely gonna try this. Even though I'm not a pro with liquid eyeliner...! Thnx for the inspiration! I think these kinds of make up styles are made for asian eyes! Love! The colour of your hair with the lipstick looks fantastic. Love the eyeliner to, I will have to try this. That's so rocker chic..love it!! check out my blog and share an embarrassing party story and thoughts on accessories. omg, i love your lavender coloured hair, you're adorable! Hij is echt perfect! En het staat je heel mooi meid! Whatever you done, it fits uu!! I can’t agree more with Hallie, I’m stunned with your lips! and it truly is one of the best! I tried using the pen ones a while ago and although they are great at first, I find they dry out so quickly!